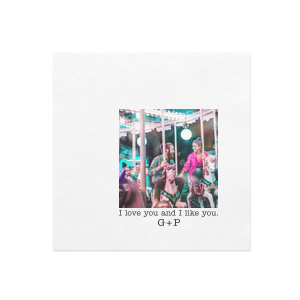 A picture says a thousand words, right? 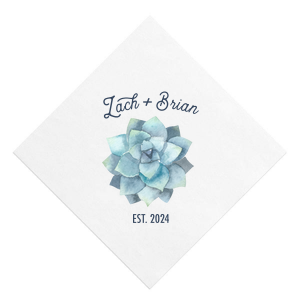 How about a picture on custom printed cocktail napkins? 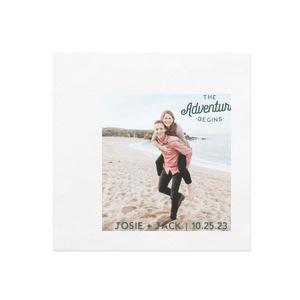 You got it, here at For Your Party you can order personalized photo napkins. 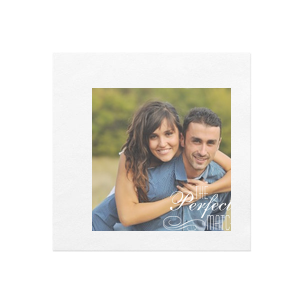 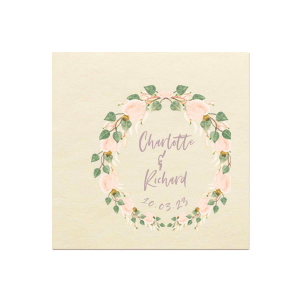 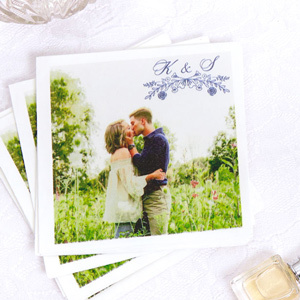 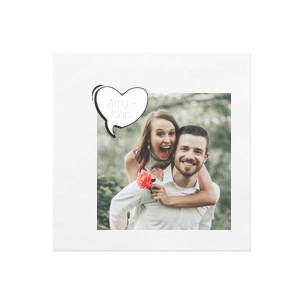 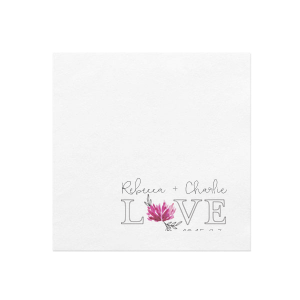 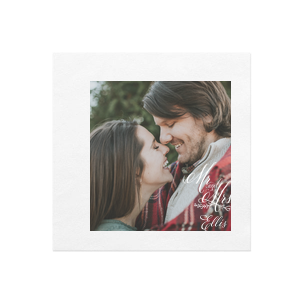 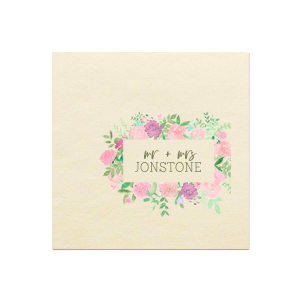 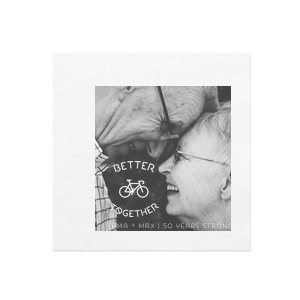 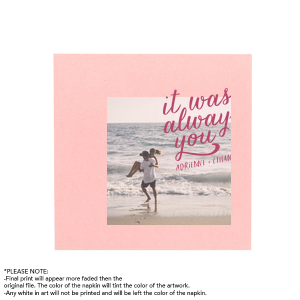 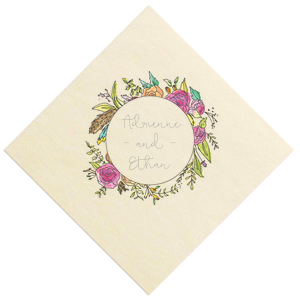 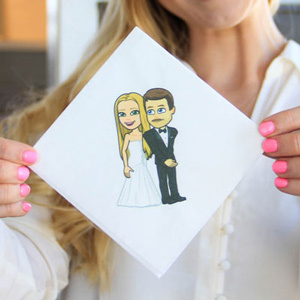 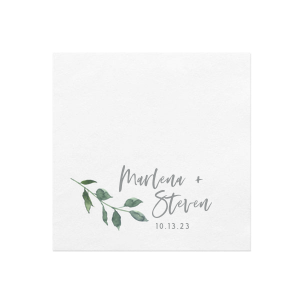 Whether you print your engagement photos to use as wedding napkins, your best cap and gown pic for graduation napkins, or a sweet baby photo for birthday napkins, these custom printed napkins are top of the line! 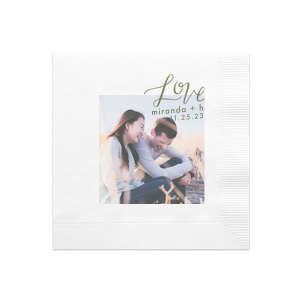 Include a trendy phrase like "The Adventure Begins" or "Sip, Sip Hooray" to add a fun touch. 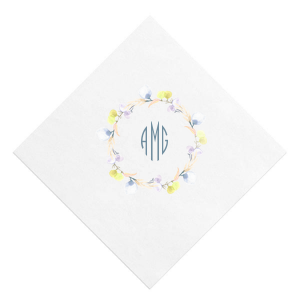 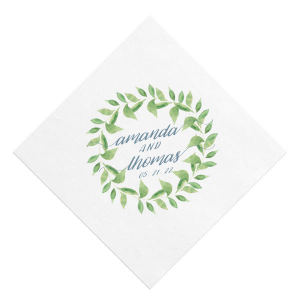 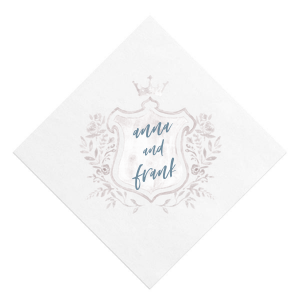 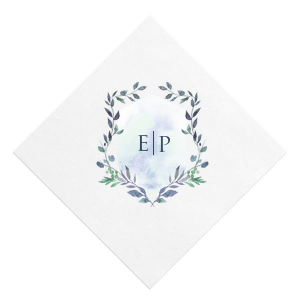 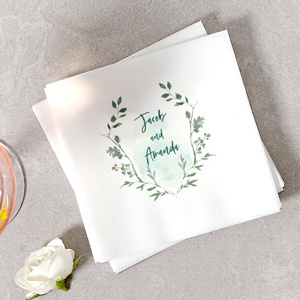 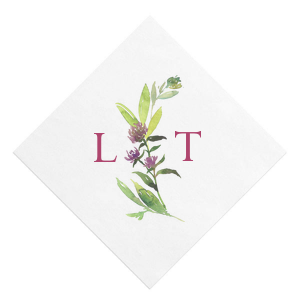 Personalized cocktail napkins are the perfect touch to signature drinks at your wedding reception, to desserts and punch at your gender reveal party, or even to top off the bar at your holiday party. 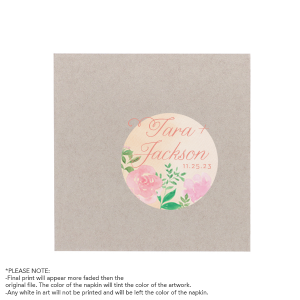 Personalize today at For Your Party with our designer created options, or upload your own art for a totally unique design.